There's a new 13.5 mile singletrack stacked loop system at Lake Rebecca as of August 2016 built by MORC. Trail head is located at the hilltop picnic area to right from park entrance. There is a short beginner loop. The bulk of the trail consists of intermediate trail, and there's some advanced out at the far end of the trail. Also located nearby are hiking and multiuse/horse trails and a group campground, as well as swimming area and boat ramp. Review: I go there all the time and it is really close to where I live and it has at the beginning a trail you can take for more experienced riders. Review: With the new trail now open for about a year I'd say it's wearing in well, and is a great place to take a ride! There's nothing overly difficult or scary here, but it's still a great trail- especially if you push yourself to ride it faster! Review: Where it's good it's good but those sections are too short lived. A lot of the corners have the exact same too tight radius and rob you of momentum. You'll need that momentum to keep your speed up through all the bumpy prairie sections. Those tight corners are eroding pretty quickly already from riders grabbing handfuls of brake lever. Some of the erosion control measures will have you scratching your head. The prairie sections dry out well before the trail opens after a rain so it may stay rough and bumpy for a long time. Quite hilly with steep climbs and very fast descents. I wouldn't bring beginners here. You need to be extra cautious in the sections that run next to the lake. Take beginners to Elm Creek instead. 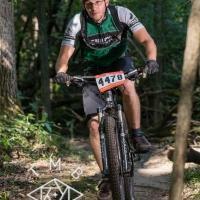 Review: I enjoyed racing the new trails at Lake Rebecca for the Big Woods Classic. It's definitely a beginner friendly course. Nothing to intimidating and advance riders can add a little speed to keep it interesting. Has some nice climbs and flow. Enjoyed the scenery too. Watch your speed on some of the turns. I expect the trail crews will be adding some berms in the future. If your in the west metro Twin City area I think it's worth the drive every now and then. 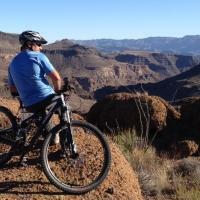 Review: Great trail with whatever your looking for. 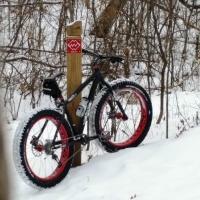 If you live in the west metro and enjoy biking this is a must ride trail. Not crazy hard but it has it moments, improvements are on the way. So much fun. 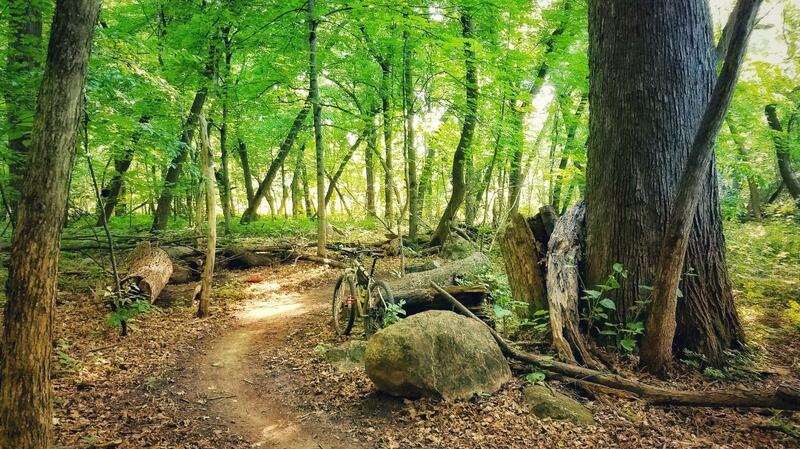 Review: I wouldn't drive from Twin Cities only to ride this trail. Trail built on a hilly terrain and not every beginner will be happy with that amount of climbing. But in general trail is well marked and fun to ride. Review: This is mostly a grass trail loop with a dirt rut worn in it. Grass can get overgrown at times. It's been a while since I've ridden it but I don't recall any type of obstacles. Lake Rebecca MTB Trail 3.80 out of 5 based on 10 ratings. 10 user reviews.